JACK WILL BE OFFERING CLASS FOR VARIOUS AGES AND STYLES OVER THE NEXT ACADEMIC YEAR. LISTED BELOW ARE THE MOST RECENT OPPORTUNITIES TO FIND WHERE JACK IS TEACHING AND SEE IF THERE IS CLASS AVAILABLE NEAR YOU. YOU CAN ALSO SEE PREVIEWS FOR CLASS ON OUR WORKSHOPS PAGE OR ON OUR VIMEO CHANNEL. OPEN CLASSES ARE DELIVERED AT THE LOCATIONS BELOW THROUGHOUT THE YEAR. PLEASE FIND INFORMATION ON EACH OF THE CLASSES AND CONTACT US SHOULD YOU REQUIRE ANY FURTHER INFORMATION. AN OPEN LEVEL CONTEMPORARY CLASS FOR INDIVIDUALS WHO HAVE AT LEAST SOME EXPERIENCE OF DANCE. THE CLASS WILL COVER MOBILISING STRETCHES AS WELL AS COMBINATIONS WHICH EXPLORE BOTH THE GROUND AND THE SPACE. 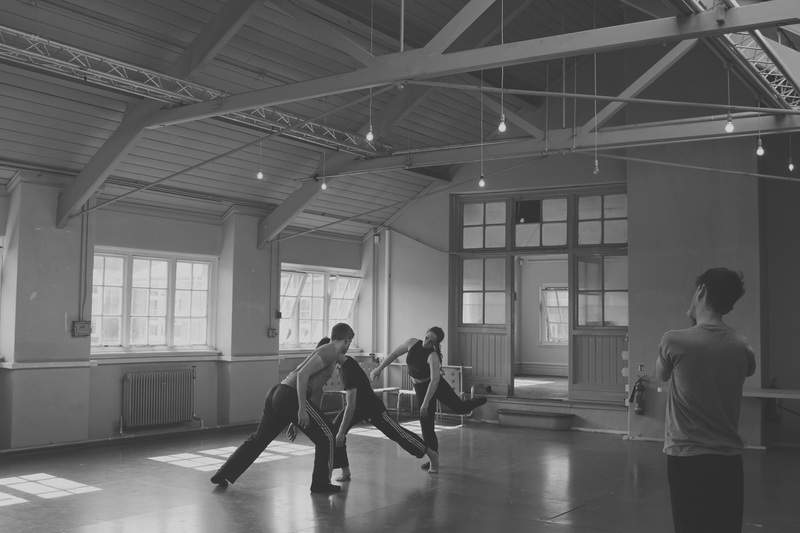 CLASS WILL CONTAIN A RANGE OF DYNAMIC QUALITIES WHICH WILL PUSH INDIVIDUALS TO MOVE ENERGETICALLY IN THE STUDIO. THE CLASS WILL BE TAUGHT AT ARDOUR ACADEMY ON A MONDAY EVENING AND WILL RUN FROM 6:00PM – 7:00PM, FOR MORE INFORMATION PLEASE CLICK THE LINK BELOW. ON A MONDAY EVENING, 7:00PM – 8:00PM, JACK WILL BE DIRECTING AN ADULT CONTEMPORARY PERFORMANCE COMPANY. THE COLLECTIVE WILL MEET REGULARLY AND WORK TO CREATE NEW CHOREOGRAPHY FOR FESTIVAL PERFORMANCES. THE SESSION IS AN EXPLORATIVE, FUN AND CREATIVE SETTING FOR INDIVIDUALS TO EXPERIENCE WORKING IN CHOREOGRAPHIC ENVIRONMENT. THE COLLECTIVE RANGES FROM THOSE WITH SOME EXPERIENCE OF DANCE TO EX-PROFESSIONALS AND GRADUATES. PLEASE ENQUIRE VIA THE DETAILS BELOW AS TO WHEN THE NEXT AVAILABLE OPPORTUNITY WILL BE TO JOIN FOR A BLOCK OF THE YEAR, ALTERNATIVELY CLICK FOR MORE INFORMATION TO BE DIRECTED TO THE MAIN WEBSITE FOR THE STUDIOS. JACK WILL BE LEADING A CLASS TO EXPLORE GROUNDING PRINCIPLES OF CONTEMPORARY DANCE, BUILDING TO FULLER, DYNAMIC PHRASES OF MOVEMENT. THE CLASS WILL BE TAUGHT AT NDCWALES’ HOME AT THE DANCE HOUSE INSIDE THE WALES MILLENNIUM CENTRE ON A TUESDAY EVENING. CLASS WILL RUN FROM 7:30PM – 8:45PM, FOR MORE INFORMATION PLEASE CLICK THE LINK BELOW TO FIND THE FULL PAGE. JACK WILL BE DELIVERING AN OPEN BEGINNERS LEVEL CONTEMPORARY CLASS FOCUSSING ON KEY PRINCIPLES OF CONTEMPORARY TECHNIQUE IN A SAFE AND SUPPORTIVE ENVIRONMENT. CLASS WILL RUN BETWEEN 7:45PM – 9:00PM ON A WEDNESDAY EVENING AT RUBICON DANCE. THE CLASS WILL UNPICK IMPORTANT AREAS OF CONTEMPORARY MOVEMENT AND ALLOW DANCERS TO QUESTION AND TRULY PERFECT THEIR WORK. IF YOU HAVE LITTLE EXPERIENCE OR ARE INTERESTED IN LEARNING A NEW SKILL, THIS CLASS IS PERFECTLY SUITED FOR THOSE NEW TO DANCE. JACK WILL BE DELIVERING AN ADVANCED LEVEL CONTEMPORARY CLASS IN CARDIFF FOR RUBICON DANCE ON A WEDNESDAY EVENING. CLASS WILL RUN FROM 6:15PM – 7:45PM AND WILL OFFER A DYNAMIC RELEASED BASED SESSION, EXPLORING ENERGETIC PHRASES, FLOOR WORK, PRINCIPLES OF WEIGHT AND SPIRAL AS WELL AS CREATIVE INVESTIGATION. CLASS IS SUITABLE FOR THOSE WITH SOLID DANCE EXPERIENCE. FOR MORE INFORMATION ON THE CLASS PLEASE CLICK THE LINK BELOW AND FIND THE FULL PROGRAMME OF CLASS DELIVERED BY RUBICON. JACK WILL BE OFFERING TECHNIQUE CLASS AS WELL AS CREATIVE WORK WITH HANNAH BATLEY FOR YOUTH DANCERS FROM THE COMPANY ON THURSDAY EVENINGS. DIFFERENT CLASSES ARE AVAILABLE FROM JUNIOR TO PRE-PROFESSIONAL. IN ADDITION, THE COMPANY ALSO OFFERS A CONTEMPORARY BALLET SESSION WITHIN THE EVENING PROGRAMME. CLASSES ARE AIMED TO GIVE STUDENTS AN OPPORTUNITY TO WORK WITH THE CHOREOGRAPHERS TO DEVELOP THEIR SKILLS AND HAVE FUN IN AN INSPIRING, OPEN-MINDED ENVIRONMENT AND CREATE EXCITING AND ORIGINAL MOVEMENT. TO ENQUIRE ABOUT AUDITIONS FOR THE COMPANY, AVAILABILITY FOR CLASS OR GENERAL INFORMATION, PLEASE CONTACT US ON THE EMAIL ADDRESS DETAILED ABOVE TO BE PUT IN TOUCH.